Hard Metal Board is a high performance rigid polyisocyanurate insulation board with Tongue & Groove joints. It is faced on the upper side with an 18mm OSB3 sheet and on the rear with a gas tight multi- layer aluminium facing. Hard Metal Board is a warm roof substrate suitable for copper, zinc, aluminium, coated steel & stainless steel roofing systems. 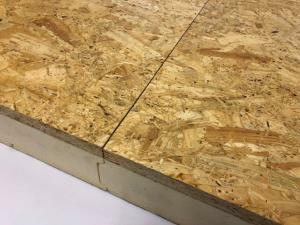 It is recommended that a vapour barrier such as Alutrix 600 is laid beneath the board.